ILCD2XLS converter :the ILCD2XLS converter (beta 3) is a java application under development that allows to convert ILCD formatted process data sets to MS Excel format. It can convert either single process data sets or entire folders. ES2_to_ELCD :useful mapping file from Ecoinvent to ELCD. OpenLCA format converter :format converter developed by GreenDelta for conversion of EcoSpold02 to ILCD, including extended ILCD reference lists and revised mapping files: OpenLCA format converter. If you want to use the methods in a LCA software or open them with a browser or a least using an editor, remember you need to download the ELCD package that contains all the dataset references such as the flow list. In order to be included in the Life Cycle Data Network, the candidate datasets need to meet the International reference Life Cycle Data System (ILCD) entry-level requirements. These requirements have been established to guarantee a minimum level of documentation, methodological consistency among datasets, and coherence in terms of format and nomenclature, and to provide the user with useful information on data quality. 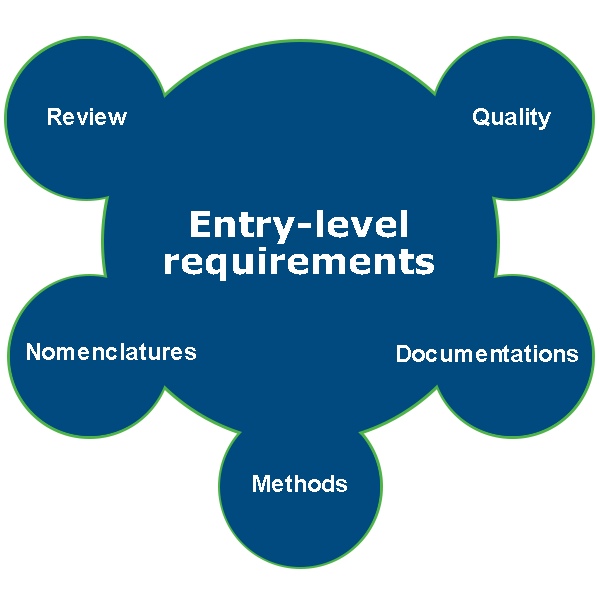 These entry-level requirements should enhance the quality of the datasets included in the Life Cycle Data Network. Information on the quality of datasets included in the network and the review carried out to ensure that they meet the ILCD entry-level requirements is available under the 'Validation' section of the Life Cycle Data Network. Review reports, which must be attached to datasets, are publicly accessible. Review template :the document provides the provisions for ILCD documentation-compliant LCA data sets under the ILCD Handbook and Life Cycle Data Network. ILCD Handbook Nomenclature and other conventions :the document provid a common nomenclature, provisions and reference elementary flow list for use in both LCI and LCIA work. ILCD Management of UUID and version number of data sets :the document provides the guidelines of how to create and change UUIDs and version numbers of data sets.